The 1850 U. S. Census was a disaster in California. 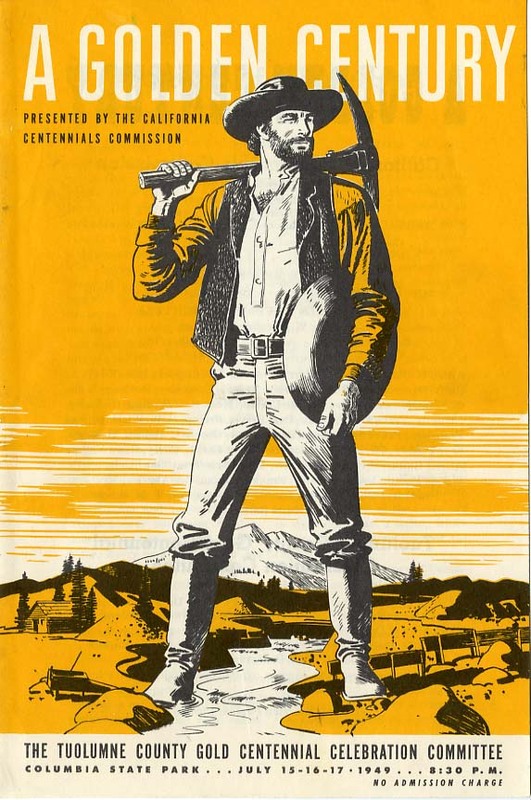 It was disorganized and many of the records were lost, requiring California to mandate a state census in 1852 to try to gauge the massive increase in population due to the Gold Rush. Among those Gold Rush newcomers was my great-great-grandfather Seth Dunham (4 May 1826-12 Dec 1909). And I for one am glad California screwed up the 1850 Census, because it means we have census records of him both with his family in Orland, Hancock, Maine in August of 1850 and as a miner in Tuolumne County in May of 1851, when the census workers finally made it there. He was recorded in Township Five of Tuolumne County, which I understand included the areas of Don Pedro Bar and Hawkins Bar around the Tuolumne River. By 1860, Seth settled in the area of Napa County which would shortly become Lake County, but why did he leave the placer mines of Tuolumne? A look at the progress of mining in that area may give an indication of why he left; in fact, he may very well have left Tuolumne shortly after arriving. Whether he then went immediately to Napa County we do not know; we may yet unearth more wanderings. Hawkins’ Bar, situated on the Tuolumne, below Jacksonville, was the site of the first river-bed workings on the Tuolumne. Its name was derived from one Hawkins, who kept a trading tent, the first in the place. In April, 1849, there were fifteen or twenty miners working on the banks, with pans and rockers, in the primitive mode of mining. By September of the same year, the population had increased to seven hundred men, who, at the first legislative election cast five hundred votes. The hillsides were covered with tents, and all the bustle characteristic of some old market town was exhibited. Large operations were commenced, but the rise of the water interfered disastrously with them, as had been the case at Jacksonville. Consequent upon this, large numbers left the camp, while the remainder gave themselves to the digging of an immense canal for the complete drainage of the bar in the coming season. Again fortune frowned upon their efforts, for in the summer of 1850 a sudden rise of the water drove out of their respective claims the various companies, who had just commenced to extract gold. At that time the number of miners was six hundred. By the next year the number had dwindled to one hundred and fifty, with perhaps one hundred on the opposite side of the river, and half as many more scattered along the river, from Red Mountain Bar to Swett’s Bar. The latter worked either alone, or with two or three in company. The average daily product of these river miners, in the year 1851, was stated at eight dollars per day. Of the claims at Hawkins’ Bar, that of Captain Lutter was worked by coffer damming, as was also that of Armstrong. These two claims employed fourteen men. The McAvoy Company consisted of sixty men, who, for a time, averaged twenty dollars per day each. The original company, consisting of one hundred and thirteen men, known as the Hawkins’ Bar Company, after two years of persistent efforts, finally abandoned their attempts to work the bed of the river by damming. Nearly the same was the experience at the several camp of Stevens’ Bar, Indian, Texas, Morgan’s, Don Pedro’s, Rogers’, Swett’s, and many other “Bars” on the Tuolumne. In the beginning of November, 1849, the Swett’s Bar Company, composed of seventy members, commenced operations by cutting a race, concluding their work just as the rise of the waters took place and caused an abandonment for the season of their contemplated works. Such misfortunes have almost invariably befallen the river miners, but have never disheartened them. On the 10th of August, 1850, the same company, then reduced to sixty men, resumed their labors, widening their race to twelve feet width at bottom. After fifty-nine days, they had completed the dam, only to have it washed away the same evening. Rebuilding it, it was again washed away, and the men laid aside their task for the year, it being then too late to effect anything. In August, 1851, resuming work, the company, now consisting of but twenty-seven men, in a few weeks had completed a dam, which enabled them to engage in taking out gold, which they did at the rate of an ounce per day to the man, and continuing for some time very successfully. The “Stony Point” Company abandoned their work under the pressure of difficulties, but another company, consisting of thirteen members, calling themselves the “Rum Blossom” Company, achieved a considerable reward. Thanks, Jeanette, that sounds great! I’ll check it out.